For more than 30 years, La Prima Food Group has been a highly regarded catering and food service company serving the metropolitan areas of Washington, D.C., Baltimore, Maryland and Philadelphia, Pennsylvania. As a leading caterer in the region, we emphasize quality and healthy food products using sustainable business practices. Our Sustainability Initiatives have earned renown across the region, with featured articles in Catering Magazine, The Washington Post, Washingtonian Bride and Groom and numerous other publications. 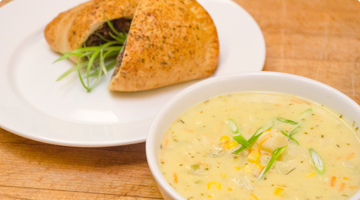 Fast and easy online corporate catering. With our entire menu accessible, you can browse at your own pace and select what you need. 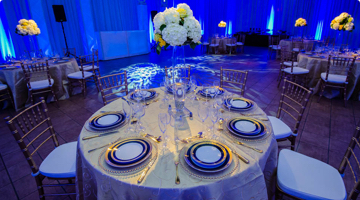 Our full service division offers customized service for events of all sizes. 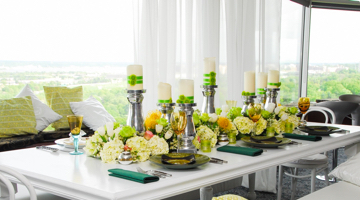 For eco-elegant inspirations and creative event ideas, take a look! La Prima Catering, the highest rated green food service in Philadelphia executes fantastic events, big and small, with the environment in mind.